Forget everything you have been taught. The only family car you should be considering is the Dodge Charger. If you want to have some fun at the same time, go for the SRT option. This is simply the best car for a performance-minded family, period. I had the opportunity to drive the SRT8 for about 10 days. I drove it all over the place, including a trip to Dallas when I was covering the Optima Ultimate Street Car event at the Texas Motor Speedway. In town, on the highway, this car drives like you need it to. Tons of power, plenty of legs to pass anything on the road, and comfort to spare. I actually have no gripes about anything on the car, and that is rare. Just ask my wife. At the Optima event, we took the Charger on the road rally across greater Dallas, an 80-mile trip, and it handled the traffic with ease. AC running cold, we got reasonable fuel economy considering the stop n go traffic and my lead foot. At the track, we took the car for a test run on the Speed Stop event, which is a timed course of a straightaway, right hand turn, slalom and stop in a designated box. My one and only run netted 14.8 seconds, just 1 second off of the average time of race-prepped street cars with drivers who had been competing all day long. I have no doubt the Charger could have been competitive, but I can’t enter competitive events with press cars, unfortunately. The test did net some excellent footage for our braking episode of the new webseries, however. More than enough brakes to do the job. I can’t illustrate just how much fun this car is. 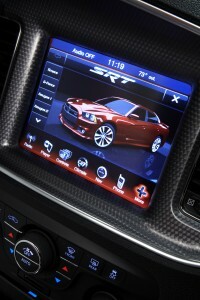 I recently drove the Chevy SS, which is a direct competitor to the Charger SRT8. There is no comparison in all honesty. 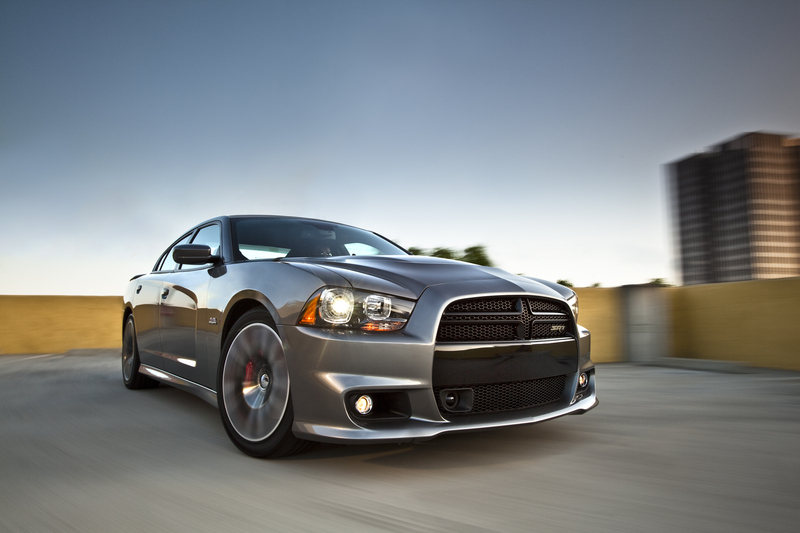 The Charger has the looks, the performance, and the space that you want in a performance sedan. The SS falls short on all those things. Sure, the Charger overdue for a facelift, but that certainly didn’t stop the people from coming up to me and talking about the car. Aside from the custom build we create at Red Dirt Rodz, this car gets more attention than any other car we have ever tested. It is loved by the gearheads and general public alike. I have to agree, it is the best car coming out of Detroit right now. Interior-Clean, well designed and plush. No dead pedal to speak of. Forget about Mercedes or BMW. This is what a modern muscle car interior should look like. Exterior- A little dated, but nobody else seems to notice, this thing turns heads everywhere it goes. 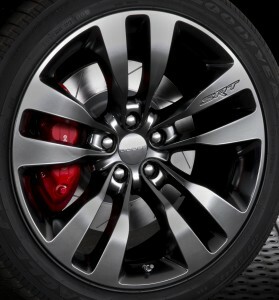 The SRT badges and “Arrest Me Red” color of the model I drove didn’t hurt. Performance- 6.2 liter Hemi. That should be all that is necessary to say. The Chevy SS can’t touch it. You can get 20-MPGs if you drive responsibly, but I was getting 13 when I drove the way this car was meant to be driven. That’s OK, it was worth it. Electronics- Here is where the SRT package really sets this car apart from everything else. 3 SRT modes- standard, sport and track. All affect the suspension and driver-assist functions. Track mode with the traction control turned off is about as close to nirvana as I have ever reached. It will drift for days but it is controllable, unlike other performance sedans that get twitchy and unpredictable. My only complaint is that I can’t lock it into track mode. It will however revert back to Sport mode of you set it and turn the car off. I like track mode. I didn’t take many photos of the car because I was rarely not driving it. The only thing I would suggest for any purchaser of the Charger SRT8- purchase stock in a tire company and a gas company. You may drive your minivan in a responsible manner, but once you hit the start button in the Charger, you will see the error of your 10 n 2 ways. The Charger was built to make knuckle-draggers like me look civilized.